During an interview with Vogue, Oprah pretty much stated for the 100th time that she would not be running for president in 2020. Much to the dismay of the LEFT, who have no real presidential bench for the 2020 election, Oprah said, “I would not be able to do it. It’s not a clean business. It would kill me.” It might also be impossible for you to explain away your chummy relationship with Harvey Weinstein. And that might also kill her media career as well. But once again the Democrats are left with another pipe-dream of a candidate who wil not be taking on President Trump. Many felt that the LEFT needed star power and charisma to take on Trump in 2020. Actual Democrats, what you need is ideas that the American people are for like low taxes, low unemployment, a strong economy, tough on illegal immigration and terrorism. Oh wait, that’s President Donald Trump. JUST HOW DESPERATE IS THE LEFT? 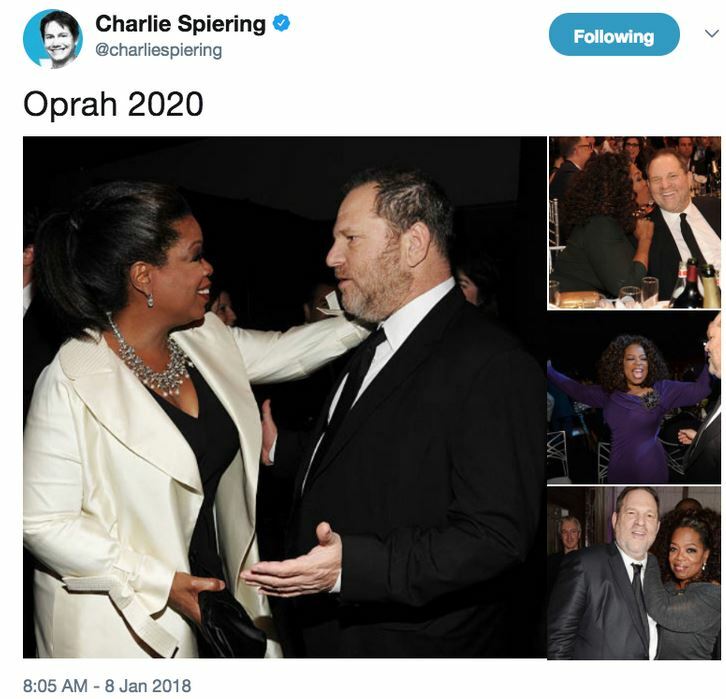 From Newsbusters comes this pathetic beg from the liberal MSM for Oprah Winfrey to run against President Donald Trump in 2020. Really, is that all the LEFT has? Wasn’t it just a little less than two short years ago that the LEFT and the MSM mocked Donald Trump for his run for president because he had no experience and was just a TV guy? They called him a clown and a joke. 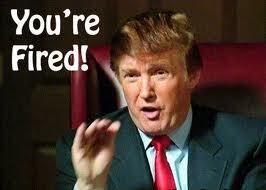 The LEFT said that no one with any expereince in politics should run for president. But of course it is different for Oprah. However, if she does decide to run she might have some explaining to do as to why she was so chummy with Harvey Weinstein. OPRAH WINFREY: I think you might. KING: No, I don’t. I could be very impartial. I could be very impartial. From The Politico, not Fox News, not Rush Limbaugh or Sean Hannity, but from the liberal Politico comes the following, a presidential run for Oprah Winfrey gets low ratings from voter. Add to this the Trump polling effect where individuals are less likely to say they are voting for Trump or say anything positive in public for fear of retribution. How did the 2016 polling go when it came to Donald Trump? Then there is that little Oprah-Weinstein issue that many voters don’t even know about. 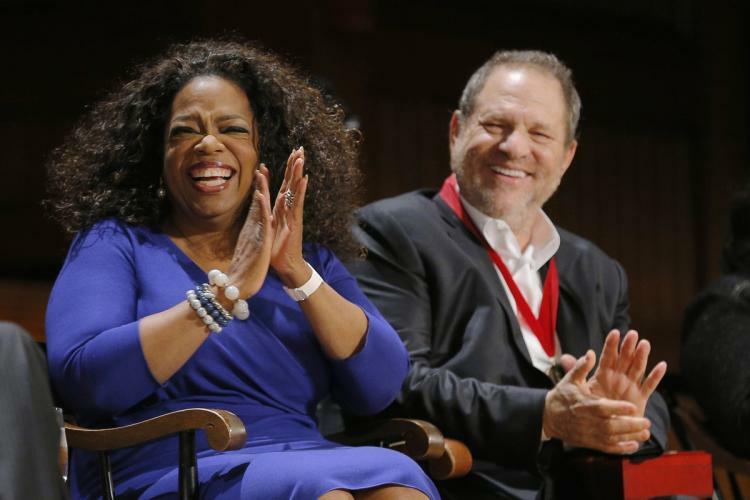 A majority of voters across several polls don’t think Winfrey should run for the White House, according to polls conducted since Winfrey’s much-heralded speech at a Hollywood awards show launched a round of presidential speculation. Even among Democratic voters, more say she shouldn’t run for president than should. Perhaps more interesting in the POLITICO/Morning Consult poll: Democratic voters actually prefer Winfrey to some of the party’s potential 2020 candidates. Winfrey would lead Sen. Elizabeth Warren (D-Mass.) in a head-to-head primary matchup, 39 percent to 35 percent. And she has a big lead over Sen. Kirsten Gillibrand (D-N.Y.), 44 percent to 23 percent. But Winfrey trails both Biden, 54 percent to 31 percent, and Sanders, 46 percent to 37 percent — two of Democrats’ best-known possible candidates. That did not take very long, after just five short months Oprah Winfrey Network, OWN, is giving Rosie O’ Donnell and ’The Rosie Show’ the axe. According to reports it was because of plunging TV ratings. In five months Rosie went from a daily average of viewership from 500,000 to 150,000. Plunging, one might say free-fall. Oprah Winfrey’s OWN network is pulling the curtain on “The Rosie Show” after five months on the air. The show premiered in October to about 500,000 viewers but lost about half that audience within days of its debut. As reported by the NY Times, it appears the show and its producers were in total disarray.All this chaos in just five months? Oh how it must have been a joy to work on this project.